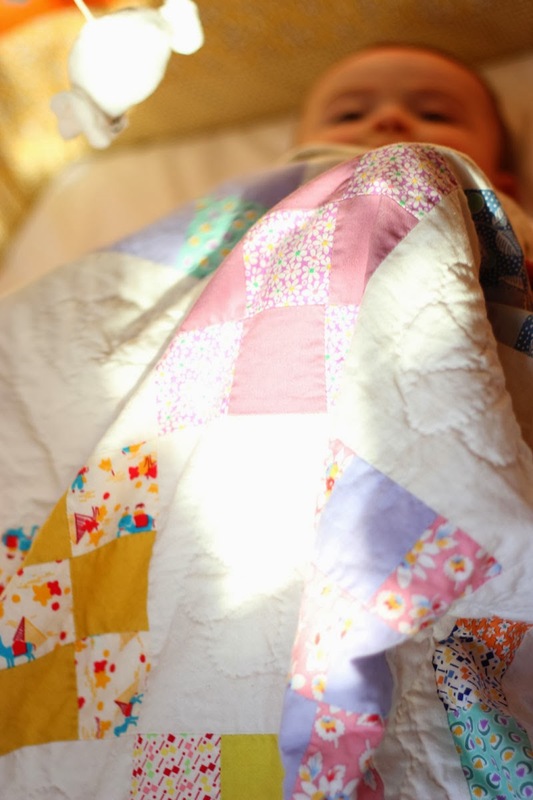 and the baby quilt I sewed with love are of use to their baby! and happy as well above it! et le mannequin est magnifique! Il illumine les realisations. Tu peux m'en faire un grand pour moi? Comme ça moi aussi je nagerai dans le bonheur! Il n'y a pas de raison! 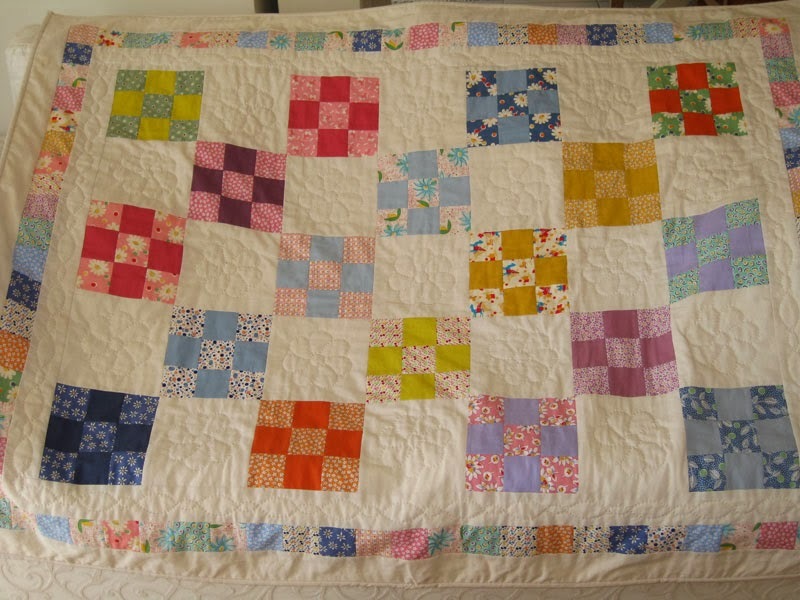 What a beautiful quilt and nicely coloured bumpers! 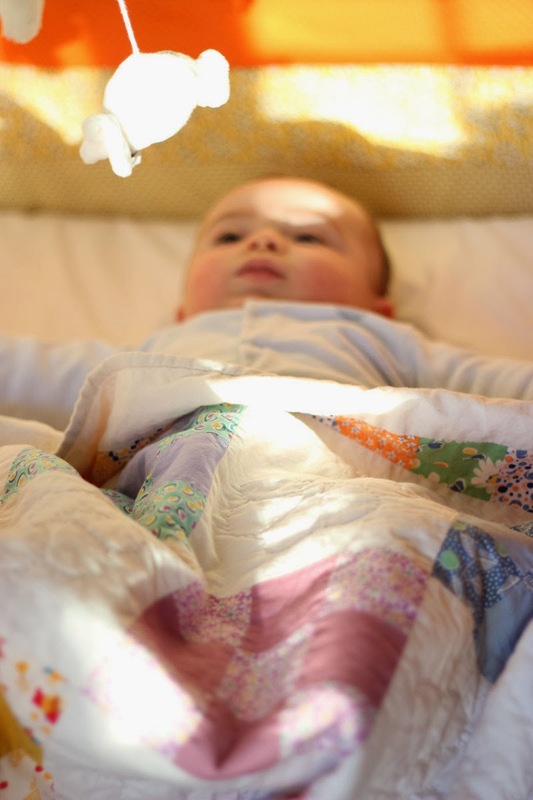 Beautiful photos with the bright sunshine and adorable Mihalis! 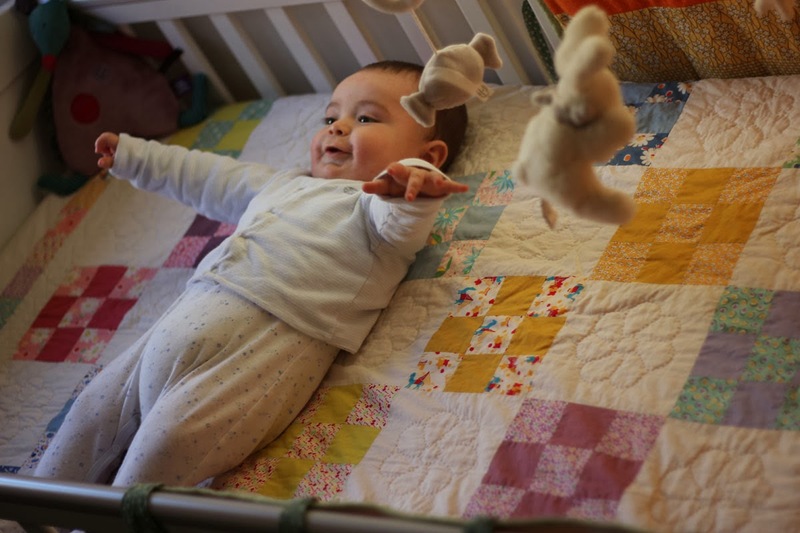 wondeful quilt - wonderful baby! Oh this post made my day!!!!!!!!!!!! Beautiful pictures! 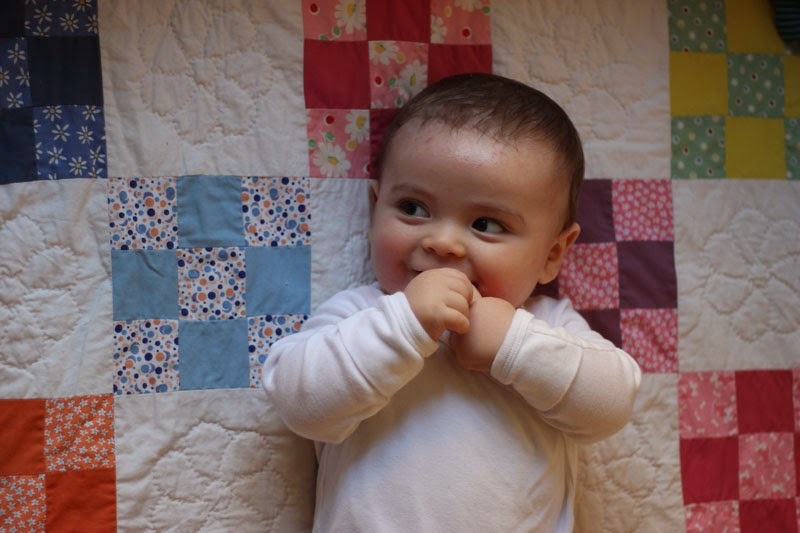 Adorable baby and lovely quilt!! Loved seeing this post again...it continues to just bring a smile to my heart!! Thanks for sharing at Tuesday Archives. 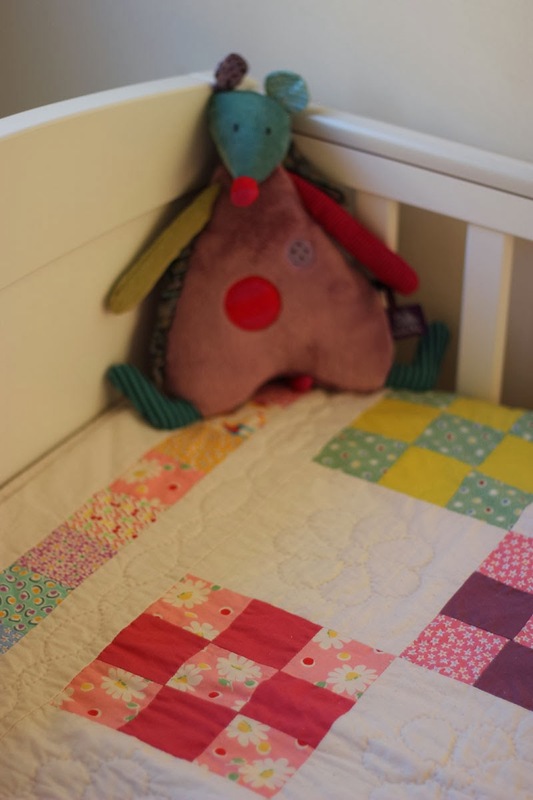 Cutie pie, bet she loves it and the parents!